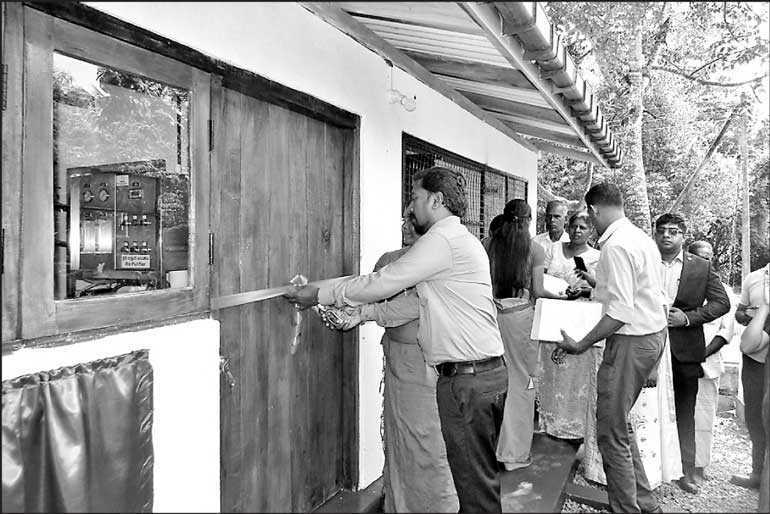 Coca-Cola and We Effect leads an innovative initiative for war-affected and marginalised women and men farmers in a rural village of Thammannawa, Anuradhapura. Women will be trained to become entrepreneurs and to play an active role in ensuring more safe water. War, poverty, polluted water and chronic kidney disease (CKDu) is a big issue in the North Central Province of Sri Lanka. The village of Thammannawa, Kebitigollewa Division in the Anuradhapura district are among the most marginalised in Sri Lanka. This is about to change through the collaboration between Coca-Cola and We Effect, a Swedish international development organisation that started working in Sri Lanka in the 1970s. “Like so many, these men and women farmers have faced war for 30 years and could not cultivate their paddy lands for four seasons due to the insufficient water capacity of the Thammannawa water reservoir and because of climate change issues. It is really appreciated, and as Government officials we are thankful to Coca-Cola, We Effect and Rajarata Praja Kendraya for supporting the most vulnerable people to uplift their livelihoods,” said Kebitigollewa Divisional Secretariat Administrative Manager R.S. Ranasinghe, addressing the audience at the ceremony. The event saw the ground-breaking ceremony of the project to rehabilitate the damaged and unclean 100-year-old Thammannawa water reservoir in the village. This will allow the villagers to restore uncultivated paddy lands up to an additional of 276 acres (which includes home gardens) for four seasons and double their harvests. 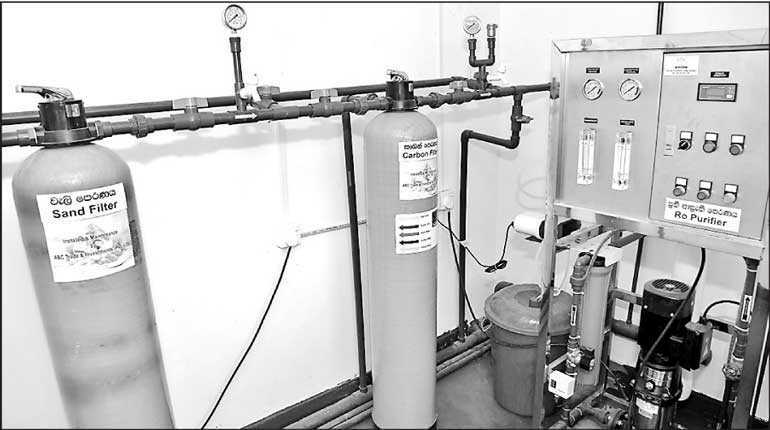 This is also supported through the establishment of the 5000 litre-per-day Reverse Osmosis plant which will be managed by the new village co-operative society ‘Ekamuthu’. With the prioritising of women, over 300 village members have been mobilised to form their own cooperative society. A 100 members of this women-led agricultural co-operative are being trained to become entrepreneurs who will create new incomes through their own markets. “This project resonated with Coca-Cola as it aligned with our key sustainability priorities in ensuring we give water back to the earth in our replenishment efforts and supporting the economic empowerment of women. 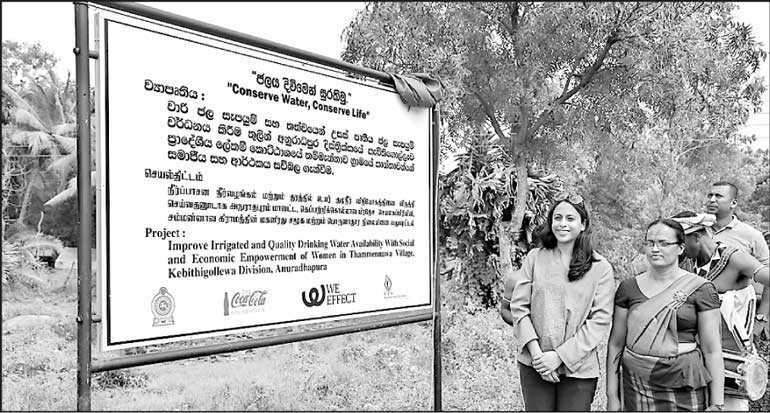 Also, the national issue of CKDu has been a long-standing concern where Coca-Cola has supported in providing access to safe, clean and good quality water in several communities,” stated Coca-Cola Beverages Sri Lanka Ltd. Country Public Affairs, Communications and Sustainability Manager Lakshan Madurasinghe. Through the co-operative approach, this continued access to good quality water will help them strengthen the farming activities that were shattered by the prevailing drought in the dry zone of Sri Lanka, and will serve communities across the surrounding four villages. The project is funded by the Coca-Cola Foundation and will be implemented under the direct management of We Effect Sri Lanka, together with its District-based partner organisation Rajarata Praja Kendraya, Anuradhapura.